This was evident in the practical way that Devonians engaged with the war effort through purchasing War Loans and War Bonds. 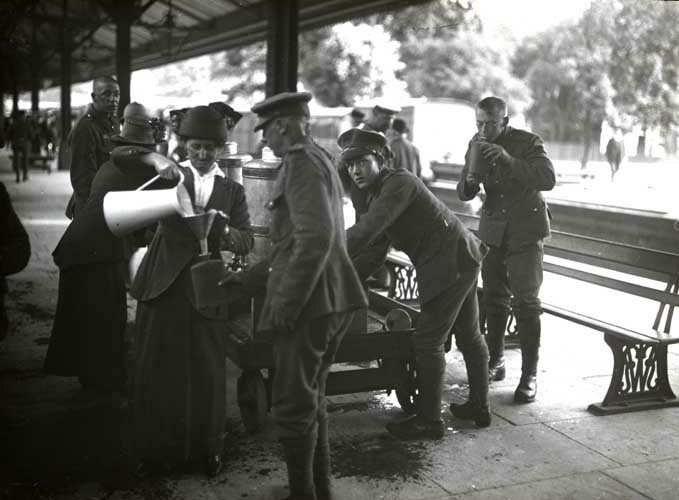 By 1918, Devon, which possessed 31 War Savings Associations, was listed as one of the ten counties in England and Wales with the largest number of War Savings Associations. Adrian Gregory acknowledges that whilst the number of local WSA’s is a crude measure to indicate their popularity, ‘it does give some idea of the depth of involvement of local communities’. Furthermore, Mr Lloyd Parry, the Town Clerk of Exeter, revealed that in respect to the War Saving’s Movement the city of ‘Exeter can claim to be well in the forefront, as not long after the close of the war, it was found that local subscriptions to War Savings Certificates were in comparison with the population – 75 per cent more than the average of the whole country’. This meant that charitable forms of participation with the war effort were more successful than the recruitment efforts in Devon. 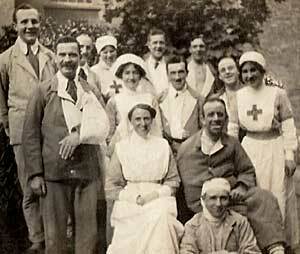 The great popularity of charities and philanthropic activities in Devon related to the war effort reveals that voluntary aid found more resonance with the humanitarian sensibilities of the county’s population. This was evident with the Voluntary Aid Detachment in Devon which had grown in popularity since 1909 to the extent that Thekla Bowser suggests in terms of financial support that Devon was ‘one of the richest “veins” which existed in England before the war’. This great financial success was also evident with the Devon branch of the British Red Cross when it had raised £6,300 15 s. 7 d. which exceeded ‘by over £900 the collection of any other County’. In Lady Fortescue’s view, this was one of the ‘many proofs of Devon’s unbounded generosity’ during the First World War. Children also became active participants in the ‘war effort, not only through education and the singing of patriotic songs in assembly but by the variety of relief efforts’. For instance, the boys of the Holy Trinity School in Barnstaple in September 1914 collected ‘blackberries to make jam to send to the “Jam Committee” of their local Distress Fund’. This was also true of girls who were encouraged to fulfil their wartime obligations through knitting. The children of Hunshaw Church of England National School in Barnstaple sent a parcel containing ‘“sixteen pairs of socks, five long mufflers and eight pairs of mittens together with cigarettes to the value of ten shillings” to the soldiers of the Devonshire Regiment, via the Mayoress of Exeter’. 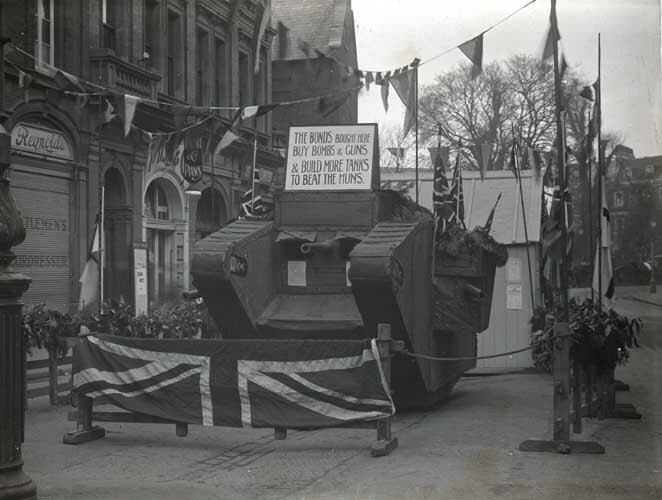 These actions recognise the significant contribution made by Devon’s civilians throughout the war. Gerard J. DeGroot, Blighty: British Society in the Era of the Great War (Harlow: Pearson Education Limited, 1996), Jay Winter and Jean-Louis Robert eds., Capital Cities at War: Paris, London, Berlin, 1914-1919 (Cambridge: Cambridge University Press, 1999), George Robb, British Culture and the First World War (Basingstoke: Palgrave, 2002), Jay Winter and Jean-Louis Robert eds., Capital Cities at War: Paris, London, Berlin, 1914-1919, Volume 2: A Cultural History (Cambridge: Cambridge University Press, 2007), Adrian Gregory, The Last Great War: British Society and the First World War (Cambridge: Cambridge University Press, 2008),Tammy M. Proctor, Civilians in a World at War, 1914-1918 (New York: New York University Press, 2010), Adrian Gregory, ‘Britain and Ireland’ in J. Horne ed., A Companion to World War I (Oxford: Wiley-Blackwell, 2012) pp. 403-417. Gerald Gliddon ed., Norfolk & Suffolk in the Great War (Norwich: Gliddon Books, 1988), Keith Grieves, Sussex in the First World War (Lewes: Sussex Record Office, 2004), David Parker, Hertfordshire Children in War and Peace, 1914-1939 (Hatfield: University of Hertfordshire Press, 2007). Paul Rusiecki, The Impact of Catastrophe: The people of Essex and the First World War (1914-1918) (Chelmsford: Essex Record Office, 2008). ‘Devonshire and the War’ in R. Pearse Chope ed., Devonian Year Book 1915 (London: The London Devonian Association, 1915) p. 41, Western Times, 24 November 1914, p. 5, Devon and Exeter Gazette, 10 December 1914, p. 2.